The concept of having your very own Bitcoin Boulevard is such a powerful tool in order to drive bitcoin adoption to new heights. We have seen multiple success stories in The Hague, Cleveland and Amsterdam. 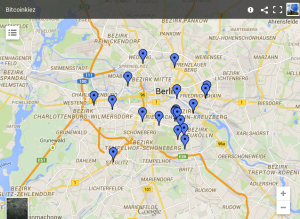 The first German Bitcoin Boulevard is coming to the city of Hannover, capital of Lower Saxony. 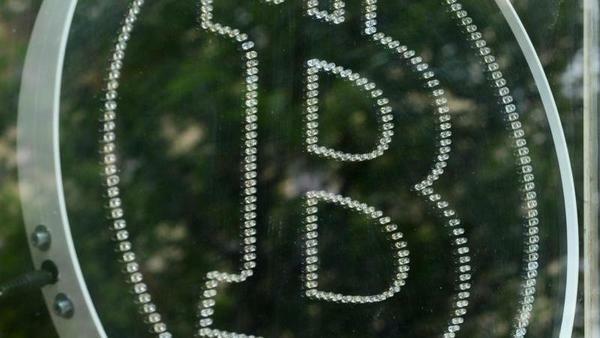 Hannover’s Bitcoin Boulevard is not the first attempt to push Bitcoin adoption in a big German City. 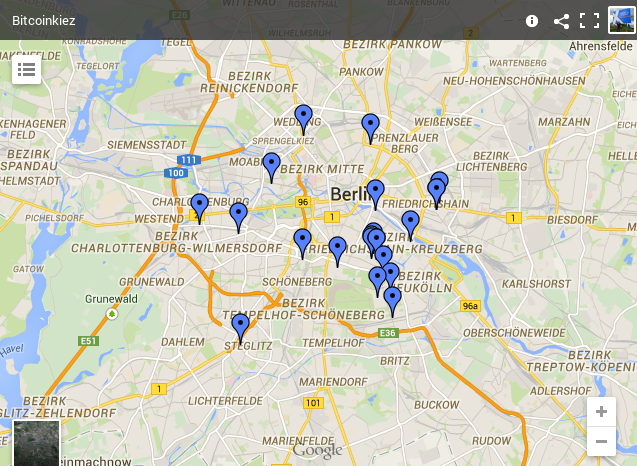 Berlin has its very own In Bitcoinkiez (bitcoin neighborhood), with roughly 20 locations accepting bitcoin as a payment method. Berliners can spend their precious cryptocurrency at all sorts of retailers, ranging from restaurants and bars to a wedding shop. 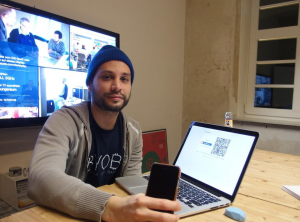 As far as the Bitcoin Boulevard initiative in Hannover is concerned, of which Ricardo Ferrer is the initiator, about a dozen merchants have agreed to participate so far. Locations to spend your Bitcoins include bars, restaurants, a travel agency, hairstylist, an electronics store and many more. For a full list of participating retailers, click here. The idea came to fruition as Ricardo Ferrer, CEO of Edelstall, wanted to spend his Bitcoins in more places than just online. After setting out on a mission to convince as many friends about using Bitcoin, the idea to create an entire Bitcoin boulevard came to mind. While trying to convince merchants to become a part of Bitcoin Boulevard Hannover, Ricardo Ferrer had to come up with a solution to reduce the investment costs for retailers. As a result of long and hard pondering, a new Crypto-terminal startup saw the light of day. The first terminal prototype comes in the form of an old Nexus S smartphone, which has the BitPay application pre-installed. 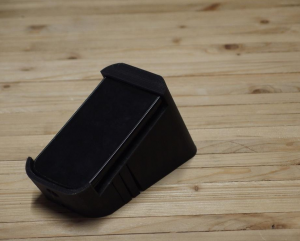 The Nexus S comes with a special case, which includes an improved NFC antenna. A little fun fact about that Nexus S case: it is created with a 3D printer, owned by Edelstall. By using this Bitcoin terminal, customer payment information can be transmitted through NFC or a more traditional QR code. Once the customer confirms the payment through his/her Bitcoin wallet application, the order is completed. Besides the terminal prototype, there is also an iOS application which will speed up the payment process during checkout at the counter. The PEY application is not an actual Bitcoin wallet, but it will open previously installed Bitcoin wallets when the customer approaches the register with their smartphone. In order to achieve this feat of strength, Bluetooth Beacons will be distributed among participating retailers, which will actively connect to customers’ smartphones. On top of that, the PEY application also has a map, displaying the names and locations of participating stores. As of this writing, there are no official plans to release an Android version of PEY anytime soon. Ricardo Ferrer is also planning to install one of the Lamassu Bitcoin ATMs, but no location has been determined yet. Talks are still going on with the city of Hannover, as well as with Bafin, in order to determine a location for this Bitcoin ATM, and get all of the necessary legal documentation sorted as soon as possible. This specific Lamassu ATM will only work one way as customers are unable to sell their bitcoin to the machine. The choice for using BitPay as a payment processor is quite simple to explain, as this allows participating retailers to convert their BTC to fiat currency at any time, and get the funds deposited into their bank account. Furthermore, this eliminates the usual price volatility associated with the popular digital currency. From what we can gather, it seems like most of the participating retailers will opt to exchange their Bitcoin to fiat currency for the full amount, or at least in the early stages of this project. As we have seen earlier this year, retailers such as Overstock.com keep a certain percentage of Bitcoin transactions in BTC, instead of cashing out the full value. “I really like the fact Bitcoin comes without a paper trail. However, I’m not too keen on digital payments either as we only accept cash payments in our burger bar. But I do see the benefits of receiving a notification on my smartphone once a customer has paid for their order,” Franscesca Elveren Pagano, owner of Ohnesorg, told Bitcoinist. One of the most interesting facts is the participation of a travel agency. “We are not expecting to see Bitcoin becoming a large piece of the revenue pie. Our plan is to ride the wave, gain more experience and look at things with a positive attitude,“ Jörg Remmers, TUI’s payment expert, told us. Contrary to Expedia, TUI is not accepting Bitcoin as a payment method for online bookings just yet. Ricardo Ferrer is continuously trying to convince more retailers to become a part of Bitcoin Boulevard Hannover. On the technical side, improvements to the payment terminal are coming as well. A next prototype has entered the R&D stage, which will use a Raspberry Pi. More details are expected to be announced in a few months. What do you think of this initiative? Leave a comment down below!